Undisputed Pop Super Star Lady Gaga, has hired Braun Productions for the creation of a unique, one of a kind showstopper to be used in her opening number of the “ArtPop” world tour! 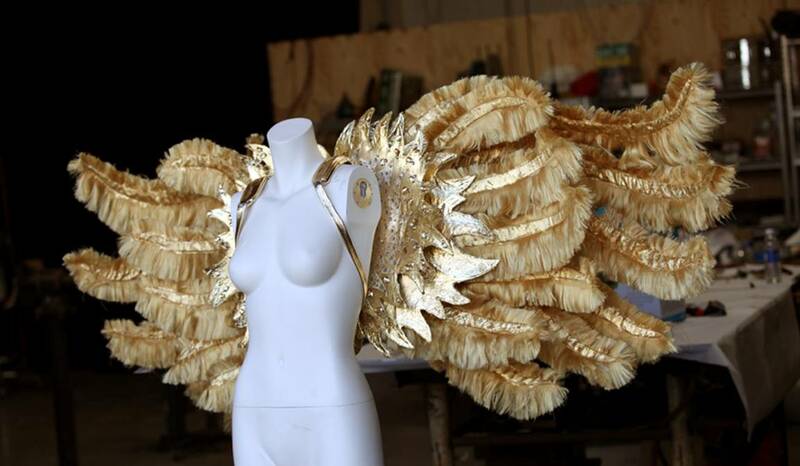 Braun Productions was hired to design and fabricate two custom sets of wings for Lady Gaga’s ArtPop tour. Seen below are the first set of wings. 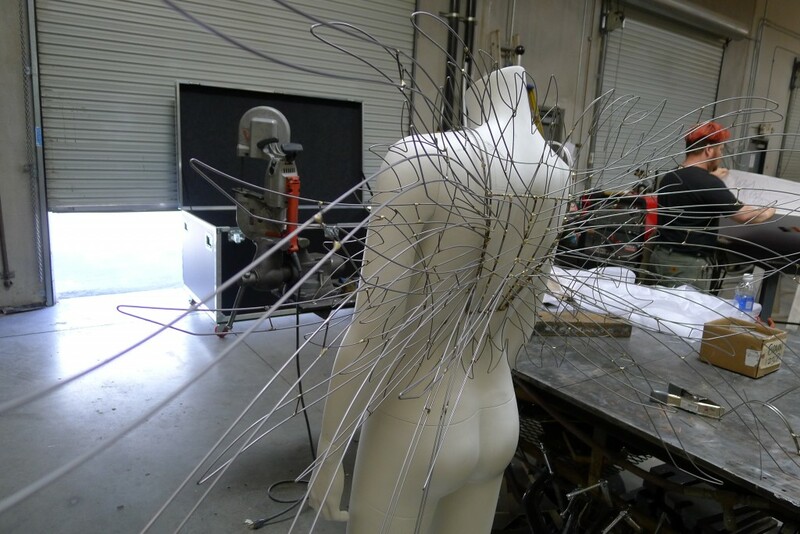 The initial fabrication phase required a special wire form to be designed and constructed that would endure the rigors of an international touring show. Every night in a different city or country is grueling punishment that most normal wardrobes are simply unable to endure. That’s why the biggest names in show business come to Braun Productions. Our world wide tour experience affords us the expert know-how that is trusted by industry leading acts. The completed unit was shipped to Lady Gaga while on tour and was in the show the very night she received it. Born Stefani Joanne Angelina Germanotta, Lady Gaga has sold an estimated 23 million albums and 64 million singles across the globe, as well as netted herself five Grammy Awards and 13 MTV Video Music Awards. She’s also been ranked on Forbes Magazine’s list of ‘The World’s 100 Most Powerful Women’ from 2010 to 2013. This entry was posted on April 18, 2014 by Eric Braun.